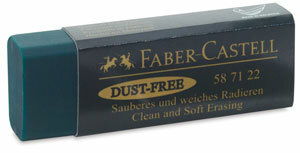 Dust-Free erasers are great for correcting graphite artwork. They erase cleanly, with no smudging, and the erasure material rolls into one piece. This package contains two erasers.